Timex celebrated its 150th Anniversary this year; part of the festivities included a global design competition to design timepieces that could be expected 150 years into the future. Designers from 72 countries participated. However, they might have saved themselves some effort by taking a look at some of the timekeeping devices about which science fiction authors have already written. A surprising number of the devices that were chosen as winners have been anticipated in various degrees by science fiction writers. Alexy Koptev of Russia contributed the stickerwatch. This disposable timepiece comes on a perforated roll, making it easy to tear off a watch and stick it wherever it was needed. The illustration for this device shows it placed on a man's sleeve. Larry Niven and Stephen Barnes wrote about a sleeve watch in their 1981 collaboration Dream Park. 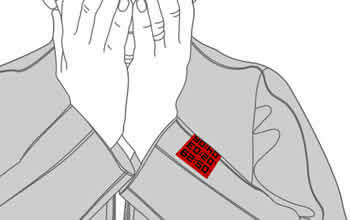 In the novel, the disposable watch used circuitry that was printed on the shirt. 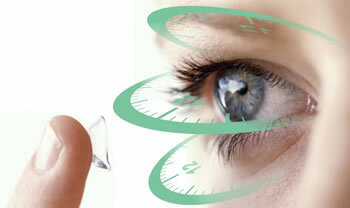 Peter Martins of Portugal designed the Sublimex; this device is worn in the eye like a contact lens where it periodically flashes the time. The information is presented to the brain subliminally; the user is not really conscious of how he or she knows what time it is. In William Gibson's Neuromancer, one of the characters has a tiny LED chipped into the corner of her visual field, making it easy to tell the time while keeping her hands free. 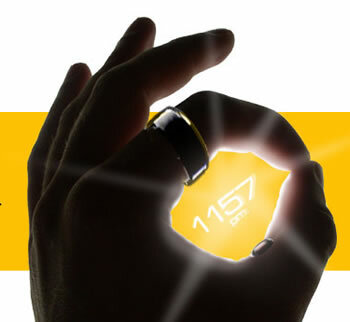 The O-Ring by Florent of the United States, is a ring worn on the index finger in combination with a stick-on piece on the inner thumb. A holographic clock face is created by a projector in the ring and the reflector worn on the inner thumb. In his 1951 novel The Puppetmasters, Robert Heinlein referred to a finger watch; this watch is a timepiece built into a ring, with a simple display. The Timex 2154 Future of Time Competition site also has a number of great concept timepieces found in no science fiction novel; each project is accompanied by graphics to illustrate the concept.